Designed to mount to either side of the frame, our box includes flanged lightening holes for extra strength. Sized for Group 24 batteries, the tray measures 6-3/4" x 10-1/2". 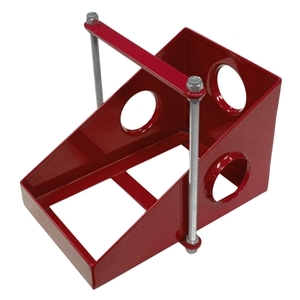 Our 3/8" diameter hold-down assembly meets all sanctioning body requirements. Hold-down straps adjust to accommodate batteries up to 12" tall.